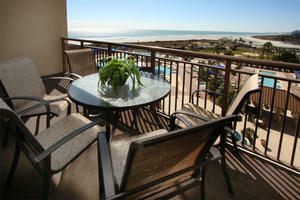 A luxurious oceanfront North Myrtle Beach rental can make all the difference between simply enjoying a beach getaway and experiencing a dream vacation on the South Carolina shoreline. If you are planning your next family North Myrtle Beach vacation book your stay in the fantastic South Carolina beach condominium of North Beach Plantation Indigo Tower 509. Situated in a magnificent oceanfront resort this rental delivers an unbeatable location that is just steps from the beach and near many of the most popular North Myrtle Beach attractions. 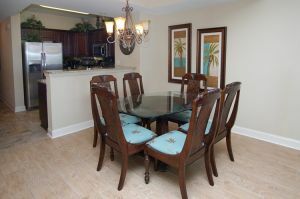 North Myrtle Beach Plantation Indigo Tower 509 is a luxury condominium that will comfortably accommodate up to six guests. 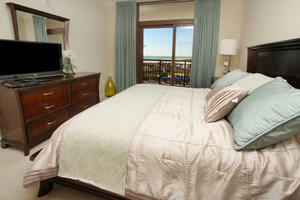 This rental has two bedrooms, the master boasting a spacious king size bed, as well as two full bathrooms. 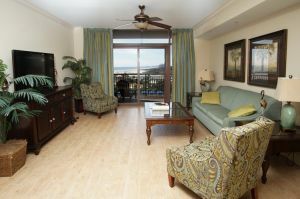 Guests will enjoy the fabulous views that this condo offers from the private oceanfront balcony as well as the master bedroom. 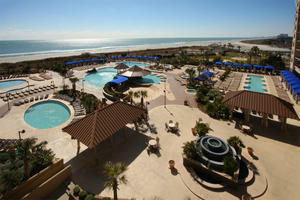 Everything guests will need to simply relax and enjoy their South Carolina beach vacation will be found either in this rental or on the resort surrounding it. 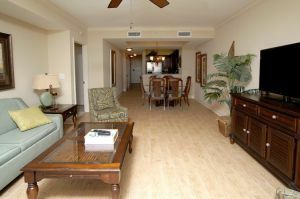 North Myrtle Beach Plantation Indigo Tower 509 has a fully equipped kitchen, in unit washer and dryer for convenience as well as three flat-screen televisions with DVD players, wireless Internet access and Jacuzzi bathtub. 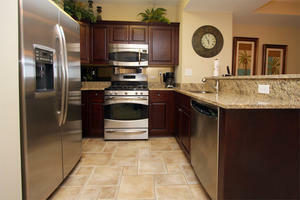 Stepping onto the resort vacationers will discover an amazing oasis that delivers wonderful amenities. The large oceanfront sun deck has multiple swimming pools as well as a lazy river, hot tub, kiddie pool, cabanas and a swim up bar. This resort also delivers a fitness room, on-site restaurant, Cinzia Spa and shuttle to Barefoot Landing for guest convenience. With the shores of the Atlantic Ocean just steps away it will be simple to spend full vacation days enjoying beach fun while staying in North Beach Plantation Indigo Tower 509. Frolic in the ocean waves or relax on the sandy shores taking in the warm sunshine during the day and enjoy evening walks along the moonlit shores after the sun sets. When guests want to spend some time away from the resort they will discover that many attractions and activities are conveniently close to their home away from home. Vacationers can spend time on championship golf courses, at amusement parks, live entertainment theatres, family fun centers or shopping in unique boutiques. You can truly have it all when you book your stay in North Beach Plantation Indigo Tower 509 so take a moment to reserve your stay today.